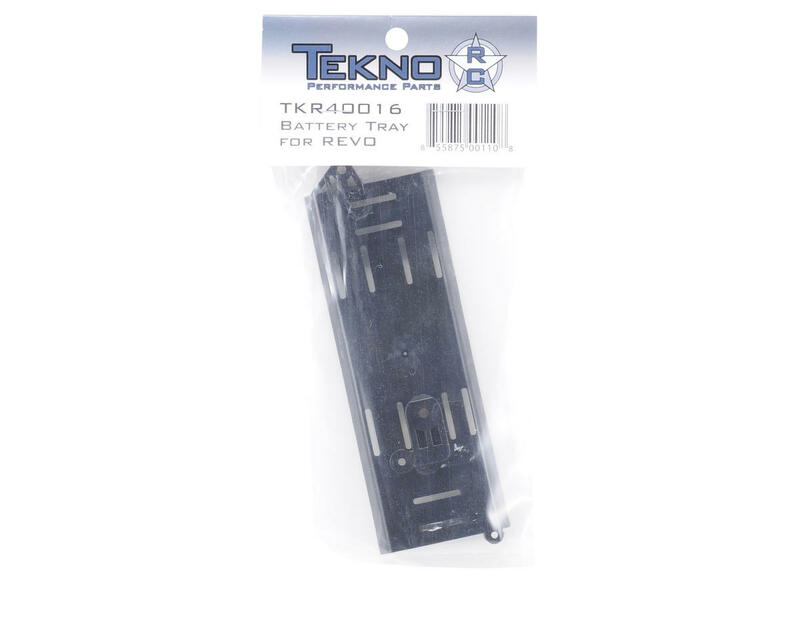 This is the Tekno RC Revo Battery Tray. The Tekno RC Revo Battery Tray bolts on to the chassis of the Revo 2.5 or 3.3 in place of the fuel tank and right side radio box. It can be used in conjunction with other conversions besides the Tekno RC Brushless Conversion for Revo. 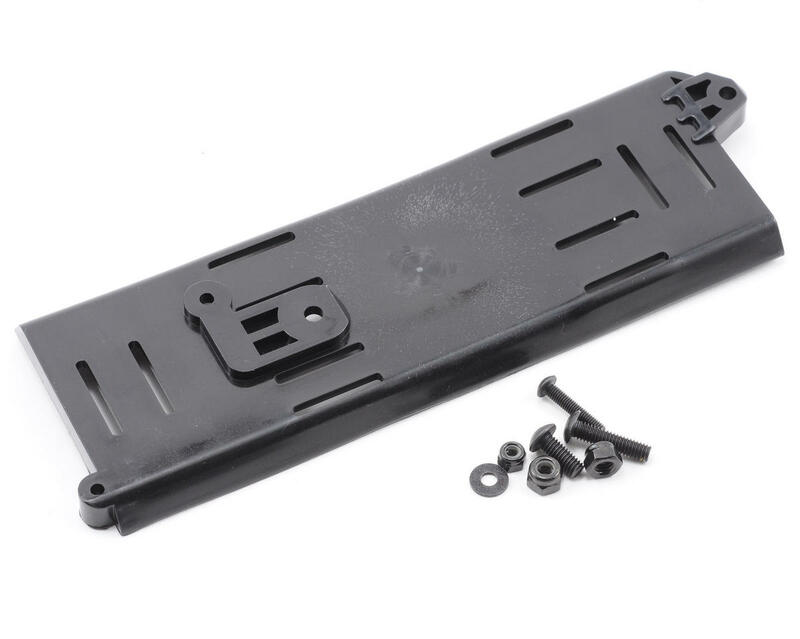 The durable injection molded Delrin construction will handle most any situation. Tray accommodates batteries up to 150mm X 50mm, but it can fit slightly bigger batteries as well. The height is limited only by the body and straps you choose. Batteries that are too big will make the vehicle unbalanced however. Anything below 600 grams is recommended, which leaves a lot of options.